Born in Shanghai, he began his vocal studies in his native town and graduated with top score at the Toho College of Music in Tokyo (Japan). After having won a fellowship offered by Toho Postgraduate School of Music, he came to Europe to continue his studies, in Graz. Since 2011 he has been teaching singing at Hunan Normal University in China. A winner of several international vocal competitions, including the International Singing Competition “Ferruccio Tagliavini” in Graz, the International Competition for Singers “Toti dal Monte” in Treviso in 2007, the “International Singing Competition of “Festspielstadt Passau ” in Passau, also in 2007 and the International Singing Competition “Maria Caniglia” in Sulmona. After having been the revelation of the Rossini Opera Festival 2008, singing as Cavalier Belfiore in Il viaggio a Reims in the “Accademia Rossiniana” production, he was immediately invited back to Pesaro to sing the title role in Le Comte Ory at the Rossini Opera Festival 2009, where he has had a great success imposing himself on the international scene. Despite his relative youth Yijie Shi has already had tremendous success singing at internationally renowned venues such as Metropolitan Opera of New York, San Francisco Opera, Accademia Nazionale di Santa Cecilia di Roma, Maggio Musicale Fiorentino di Firenze, Teatro San Carlo di Napoli, Teatro La Fenice di Venezia, Teatro Comunale di Bologna, Teatro Petruzzelli di Bari, Teatro Lirico di Cagliari, Deutsche Oper of Berlin, Opéra National de Lorraine, Théâtre du Capitole de Toulouse, Opéra de Lausanne, Avenches Opera Festival, Graz Oper, Copenhagen Tivoli Festival, Gran Teatre del Liceu, Festival Mozart de La Coruña, Teatro Arriaga de Bilbao, Teatro Municipal de Santiago de Chile and De Vlaamse Opera of Antwerp, working with such conductors as Zubin Mehta, Antonio Pappano, Roberto Abbado, Kent Nagano, Alberto Zedda, Bruno Bartoletti, Jeffrey Tate, Louis Langrée and Dan Ettinger. He opened the 2015/16 season performing Rossini’s Otello(Jago) at the Gran Teatre del Liceu, Tancred (Argirio) at the Teatro Municipal de Santiago, Stabat Mater at the Edinburgh International Festival with Antonio Pappano Orchestra dell’Accademia Nazionale di Santa Cecilia, world premier opera Dream of the Red Chamber (Bao Yu) at the San Francisco Opera，Il turco in Italia (Narciso) at the Théâtre du Capitole de Toulouse. His future plans include Falstaff (Fenton) and Lucia di Lammermoor(Edgardo) at the Beijing NCPA, Rigoletto(Duca di Mantova) at the Teatro Municipal de Santiago, La sonnambula(Elvino) at the Opéra de Lausanne, Tancredi (Argirio) at the Palau de les Arts Reina Sofia and at the Opéra municipal de Marseille, Stabat Mater with Orchestre National d’il-deFrance, Lucia di Lammermoor(Edgardo) at the Teatro Real Madrid, as well as Dream of the Red Chamber (Bao Yu) at the Hong Kong Art Festival. During the 2014/15 season he performed Guillaume Tell(Ruodi) and Don Pasquale(Ernesto) at the Beijing NCPA, Falstaff(Fenton) at the Opera di Firenze, L’occasione fa il ladro (Conte Alberto) at the Théâtre des Champs Elysées de Paris, Tancredi (Argirio) at the Opéra de Lausanne, Der Rosenkavalier(Sänger) at the Beijing NCPA,　Il barbiere di Siviglia(Almaviva) at the Avenches Opera Festival and Lucia di Lammermoor(Edgardo) at the Opera di Firenze. During the 2013/14 he made a big successful L’elisir d’amore (Nemorino) at the Teatro La Fenice di Venezia, followed by his return to Bejing NCPA in Rossini’s L’italiana in Algeri, and his role debut as Fernand in La Favorite at the Théâtre du Capitole de Toulouse and at the Graz Oper, Rossini’s Petite Messe Solennelle in La Coruna. 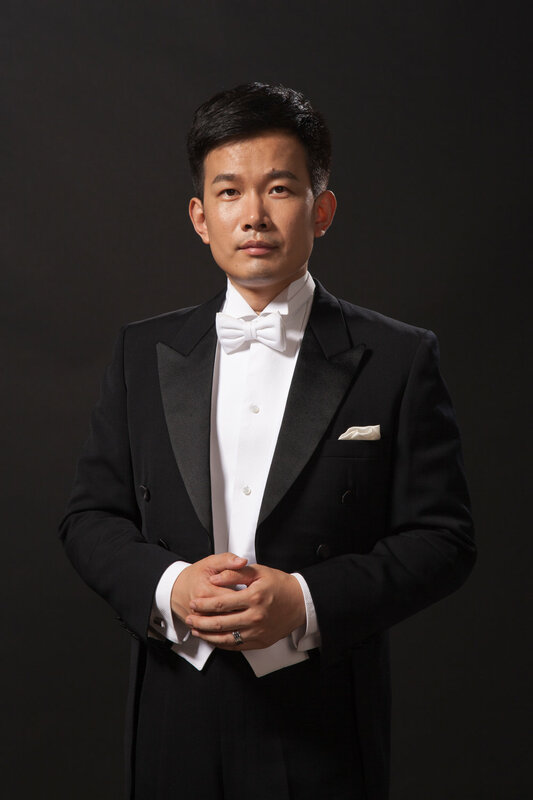 The recent seasons brought him to perform Armida at the Metropolitan of New York, Il viaggio a Reims and Mozart’s Requiem at the Accademia Nazionale di Santa Cecilia in Rome with Kent Nagano. Rossini’s Stabat Mater and Guillaume Tell in Tokyo under the baton of Alberto Zedda, Mozart’s Krönungsmesse at the Teatro Manzoni di Bologna and Haydn’s Nelsonmesse at the Maggio Musicale Fiorentino in Florence with Roberto Abbado, Demetrio e Polibio, L’italiana in Algeri, Le comte Ory, Mose in Egitto and Pergolesi’s Stabat Mater di (Paisiello version) at the Rossini Opera Festival di Pesaro, Die Entführung aus dem Serail, Il marito disperato and Le sette ultime parole by Mercadante at the Teatro di San Carlo di Napoli, L’elisir d’amore at the Teatro Lirico di Cagliari, Boris Godunov, Die tote Stadt, Death in Venice and Janáček’s Šárka at the Teatro La Fenice di Venezia, La Cenerentola at the Teatro Municipale di Piacenza, Rossini’s Otello at the Opéra de Lausanne, L’italiana in Algeri at the Opéra National de Lorraine, at the Opera-Theatre Metz Metropole, at the Teatro Comunale di Bologna and at the Bejing NCPA. Die Zauberflöte and Il ritorno d’Ulisse in Patria at the De Vlaamse Opera of Antwerp, Zaïde and Die Entführung aus dem Serail at the Festival Mozart de La Coruña, Les pêcheurs de perles at the Opéra de Saint-Etienne, Lucrezia Borgia at the Teatro Municipal de Santiago de Chile.